What should I do if I have an automobile accident in Tennessee or elsewhere? Call the police if you collide with a parked or unattended vehicle, a tree, or other property and cause significant damage. You will need a police-filed accident report to make an insurance claim. If the damage is small, try to locate the property owner and report the accident. If the owner of the damaged property can’t be found, leave a note with your name, address, and phone number. You can leave this information on a damaged car or at a house where the damage occurred. If you have questions, contact our auto accident lawyers in Tennessee. We can help. What not to do if after a car accident in Tennessee? Don’t say, “I should have seen him”, or “I wasn’t looking.” We are all embarrassed by being in an accident and tend to deny injury and accept responsibility. Our auto accident attorneys in Tennessee can help you through these situations. What should I do after I have left the scene of the car accident? Whether your car accident occurred in Tennessee, or in another state, you should immediately report the incident, however slight, to your insurance company. Your insurance company should be notified before you authorize repairs to your car. Do not sign anything that says “Release,” or “in full satisfaction of all claims.” This language is sometimes printed on checks even when only partial payment is being made. Take pictures of the damage to your car, particularly if it was towed and is now in a storage lot. Have someone take pictures of your injuries. This could be important evidence in the future. Your memory of what happened may fade by the time you settle your case. It is a good idea to record when the accident occurred and keep a log of dates and incidents pertaining to your accident. For more tips like these, contact one of our helpful auto accident lawyers in our Tennessee offices. If you have uninsured motorist coverage, your own insurance company will step in and pay as if they were the guilty driver’s insurance company. If your case is filed in court, your insurance company will hire an auto accident lawyer to defend the other driver and will pay any amounts the court orders the guilty driver to pay. Naturally, the insurance company only has to pay amounts up to the policy limits you purchased. More questions? 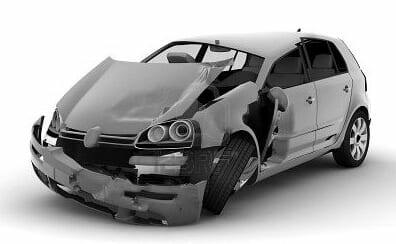 Contact our knowledgeable auto accident lawyers in Tennessee. This varies from policy to policy, but typically, auto rental is paid for the period between the car accident and repair or until such time as the vehicle is appraised as a total loss. Insurance adjusters will typically offer to pay only the least expensive rates available for rental. Our auto accident attorneys in Tennessee can answer more of your questions. If my car is totaled, will insurance pay off my car note? Not necessarily. Your recovery will be for the actual cash value of the car, not the amount owed. The term actual cash value refers to what it would cost to replace your damaged vehicle with one similar in condition and mileage. Conditions such as un-repaired previous damage and tire wear are all considered in determining actual cash value. If your car has been financed, the actual cash value may be much less than the money owed. Our car accident lawyers in Tennessee can find out more information like this for you. When your insurance company pays you for a loss caused by another driver, the company may recover the full amount of their payments made from that other party. This also means if your insurance company pays you, you will have to cooperate with them as they sue the other party. You must repay your insurance company any amounts they have paid you if your claim against someone else is successful. There are some situations where the subrogation interests at an insurance carrier can be waived or defeated altogether. These are complex issues that require the advice of one of our auto accident attorneys in Tennessee. We would welcome the opportunity to discuss your case and provide legal advice with confidentially and free of charge.